Have now visited Las Ramblas 3 times in 3 years & each time the course gets better & better!!! Fantastic club house & friendly welcome makes this course a must to play when-ever your staying in the area. Have booked two 4 balls for our stay in April & cant wait to get back on the fairways!!!! TOP COURSE!!!!! Played on Las Ramblas 2 times last week. the course played very well and the greens were smooth as silk. Some Tee shots are blind but that makes it the more challenging. the second time we played (fridays) was much more bussier and we have to wait a lot. At the end we played 18 holes in 4,5 ours, so that was'nt so bad. You shoot try this cours and play Villa Martin aswell. Played here yesterday for the first time. I have been fortunate in playing in europe, and beyond for a few years now (16 hcp), and found this course to be an excellent test of golf in so many ways. Its condition was very good, the holes extremely challenging and tight. I only lost a few ball, but as has been said before, this is not a motorway course. Its a thinking mans course. After playing some great courses in Spain, this would still rate pretty well up there. The fairways and greens were in good condition (although I still do not understand why people do not repair pitch marks?). It was quiet when we played, but a British 4 ball let us through on the 4th. On every tee there is a nice ceramic hole guide, giving all the distances, and the course markers seemed pretty accurate. I would strongly reccommend playing this course twice, as the first time you get to learn it - there are many blind tees, and one hole in particular is a great Par 5 risk-reward hole, and some par 4s are short and driveable if you are accurate. I shot a 93 with a couple of lost balls, and could have saved several more with some course knowledge. COmpared to the nearby Campoamor course, Las Ramblas is a significantly better quality course, although shorter, but do not let that put you off! The Campo course has poor greens and is very dry! Not impressed! The reason for the poor clubhouse is that there is a stonking great new one been built at the moment, due to open Dec 2008, but looking at it, probably later. In summary - A quality course, short but very challenging, push through laggards who slow you down (if they do not let you through!) as it is they who are wrong! Viva La Golf! WOW. I played this course early May 2007 and I have to say that it is without doubt one of the best courses I have played. 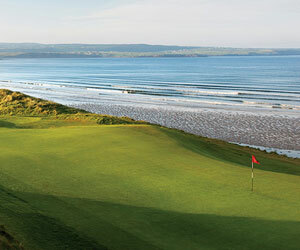 There are 18 holes of quality and when the wind is blowing into your face at the 5th you know what a true par5 is. The course was beautifully maintained and with water coming into play on 10 holes your course management needs to be good. The 17th is a risk and reward hole if you have the nerve to go for it. However there was a downside to playing the course. If you land in a bunker you will find a 'bunker' with grit taking the place of sand and only 1/4 inch thick before you hit clay. Overall a course well worth a visit any time of the year. I played this course last week with afriend and we were notified that there were only nine holes available. The whole front nine were closed for the forseeable future, therefore we could play the back nine twice. There was no offer of a refund or reduction in the green fee made and a request was met with a blanket refusal. Having been dropped off by taxi and one ordered for 5 hours later and a considerable distance from our accomodation we decided to play. It took almost four and a half hours to complete the 18 holes as we were following a Spanish person who had taken his wife, mother-in-law and young son with him onto the course. Only he was playing, or trying to, he hit at least 2 balls from every tee and 3 on some occasions! No amount of comment from us could make him understand he was holding up the whole course and lack of understanding of the rules of golf and course etiquette was obvious. No Rangers or Marshalls were around, we only managed to play through his party on our tenth hole when they stopped for a picnic beside the tee. Nobody was interested in our grievances when we finished and if that is golf in Spain I've had my last round! Took our group of teen h'cap golfer over 4 hours to reach the 12th hole, by which time we were losing the will to live. We were preceeded by 4-ball after 4-ball who were clueless yet packed onto the course. Made representation to the pro's shop where staff suddenly lost ability to understand English. Were not in slightest bit interested in our complaint. Clubhouse a dump too. This is not just bitterness as had my 1st hole in one at 6th hole!!! 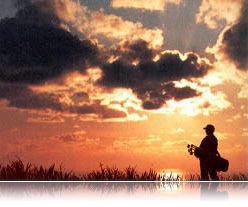 You are obviously the type of person that gives golfers a bad name, Thinking that you are so superior because you have a lowish handicap always in a rush rather than admiring what a beutifull course it is and thinking that noone else has the right to play on the same day let alone the same course as yourself. POMPUS !!! springs to mind. It is a wonderfully crafted course chissled out of the rugged landscape with breath taking scenery. A great mix of challenging holes for all abilities and the greens are like putting on glass. A pleasure to play and well worth the green fee. Ian..spot on with your reply to Derek. Myself and the boys (h'caps ranging from 13 through 26)play Las Ramblas every year and have done for the past 7years - we love it to bits and enjoy every hole, even if you you lose the odd ball or ten. Derek - needs to go back to the local pay and play !!!!!!! Have to say I play off a h'cap of 4 and when we played here it was in excellent condition. The higher handicaps dont bother me at all as I was there once. But its when people havent a clue about the rules and wont let you through. Although when we played it in March 06 the course was empty and we had a great day, great course. I agree,I played Las Ramblas a few days ago and having been told how hard it would be I was please to say I went round very well(for me)even finishing with the same ball. I played LR in late Feb 2005. The first hole looks more intimidating than it really is, but my main concern is the greens. The 1st and 2nd are fabulous, and the rest are poor in relation to some of the better ones. Some very interesting holes the 1st, 4th and 10th comes to mind! I enjoyed the course and only lost one ball! I would prefer the front 9 rather than the back as the last few holes are just a bit striaght. If you are a high handicapper you will enjoy the course as most will , but I will struggle a little which may ruin the experience for you. I may well go back next year but will probably try to get to Seve's course up at Alicante. There is nothing more boring than playing golf on a footballcourse as many new course is today! Myself and two friends played the course last week (25th may). Being a high handicapper i was very worried at the thought of losing lots of balls and playing like a muppet. This however did not happen and we all enjoyed a fantastic game of golf on a very testing course. Play it along with villamartin and la finca and you can't go wrong if you want three completely different rounds of golf. If you like wide fairways, large greens and target golf, stay away from Las Ramblas. I have never experienced anything quite like it and have never had to concentrate so hard. It was one of the most enjoyable rounds I have ever had. Yes, the fairways were parched and the greens needed a trim but this is winter! Golf on many links courses in England in summer boast exactly the same conditions and you will pay 4x more for the pleasure. Take plenty of (not new) balls and play Las Ramblas. You will dine out on the experience for years to come. >If you are anything other than a low handicapper, give this course a miss. It is more like an assault course than a golf course. Played as a group of mid H/cappers in January 2004. The course is very parched with little decent grass. Most fairways slope towards deep ravines with no rough to catch your ball. It proved very expensive (lost balls) even when you knew your tee shot was good. Several of the greens had areas of GUR due to poor condition. For a much better experience, spend a little extra and play La Finca....Still a challenge but you'll not end up anywhere near as frustrated. If you are anything other than a low handicapper, give this course a miss. It is more like an assault course than a golf course. Played as a group of mid H/cappers in January 2004. The course is very parched with little decent grass. Most fairways slope towards deep ravines with no rough to catch your ball. It proved very expensive (lost balls) even when you knew your tee shot was good. Several of the greens had areas of GUR due to poor condition. For a much better experience, spend a little extra and play La Finca....Still a challenge but you'll not end up anywhere near as frustrated.